Every country has a racetrack that is loved, respected, and wanted to be raced upon by anyone from armchair console players to professional drivers. Australia has Mount Panorama while in the US perhaps Laguna Seca is the pick. Britain has a few including Silverstone, and then there’s Germany’s Nürburgring. The location is steeped in history and can trace its origin back to the 1920’s. Races were held on the roads and run under the auspices of the ADAC (Allgemeiner Deutscher Automobil-Club e.V). The Eifelrenen was an annual race that started in 1922. Held on 33 kilometres of public roads, the mounting toll of damage and fatalities from this and other forms or racing lead to the founding of the original Nürburgring in 1927. The original circuit had 187 bends and a distance of 28.265 kilometres. Bugatti driver Louis Chiron managed the quickest time and averaged 112.3 kilometres per hour. However, due to ongoing safety concerns, in 1929 it was decided to race only on the 22.8 kilometre Nordschleife for major races such as Grand Prix’. 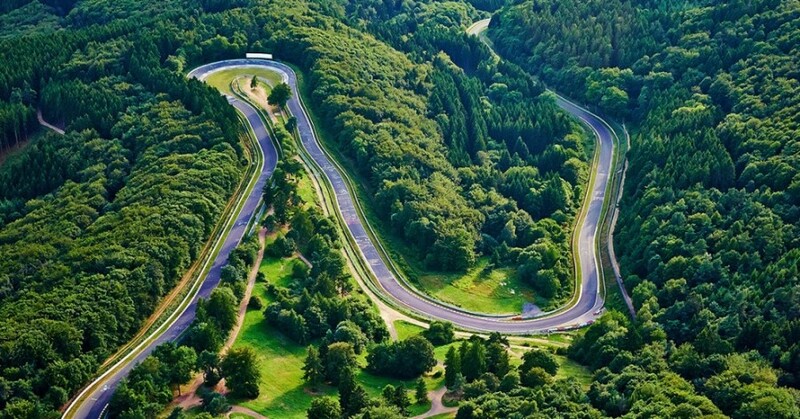 The Südschleife, or South Ring, would host motorcycle and minor races on its separate 7.747 kilometre surface. World War 2 intervened but racing recommenced in 1947. The Nordschleife would soon play host to the German Grand Prix. Names such as Alberto Ascari, Stirling Moss, Jim Clark, Juan Manuel Fangio, Jacky Ickx, Jacky Stewart, and John Surtees were soon made famous and took over the mantle of Ringmeister, a title given to drivers of pre WW2. 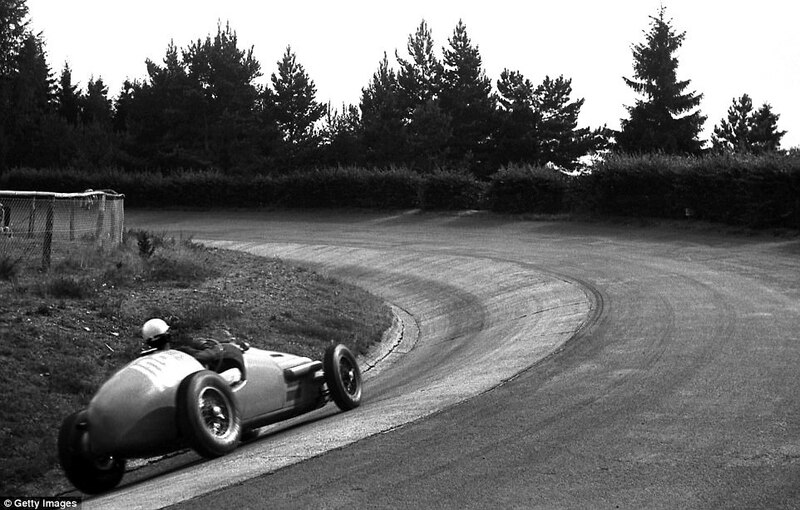 In the 1961 German Grand Prix practice sessions, Phil Hill became the first driver to slide under the nine minute mark and had a speed of 153.4 km/h. But by 1967 safety concerns had again been raised and modifications to the circuit were put in place. Regardless, the changes weren’t enough to placate the driving fraternity, with Scotsman Stewart dubbing the circuit “The Green Hell” after a rain soaked 1968 German Grand Prix, which, incidentally, Stewart won. More changes were made however the Nordschleife gained immortal notoriety in 1976. Although a decision had been made to make the 1976 GP the final one raced on the circuit, Austrian Niki lauda had tried to raise his co-drivers to a boycott level. The race went ahead in rainy conditions, and Lauda lost control of his Ferrari, crashing into the wall. Lauda was trapped and the ensuing fire nearly claimed his life. Further track work reduced the overall length and in 1981 a new circuit was built which happened to incorporate part of the old circuit pit complex. Even this circuit called GP-Strecke was modified, extending the length from 4.5 km to 5.2 km. The circuit also has the distinction of becoming just the second circuit to name a turn after a driver, in this case turns 8 and 9 becoming the Schumacher S.
Nürburgring has also been used as a production car testing ground for many years, with performance models evaluated and often judged based on the times they have been able to achieve. The current lap record for a production car is a 6m 47s lap by a current Porsche 911 GT2 RS. The outright lap record for the Nürburgring however is a 6 min 11.1 sec lap, set by Stefan Bellof in a Porsche 956 at the 1983 Nurburgring 1000km.